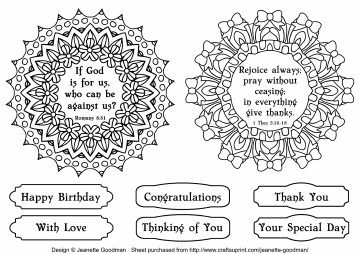 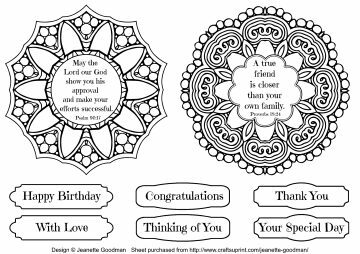 Printable patterns to color featuring Bible verses. 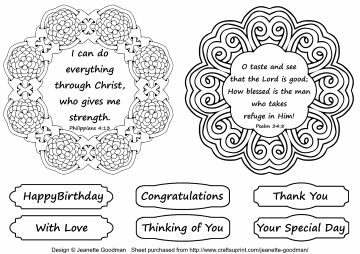 These designs can be used to create greeting cards. 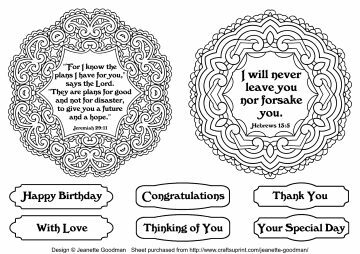 Alternatively you could attach them to gift boxes, gift bags, or bunting. 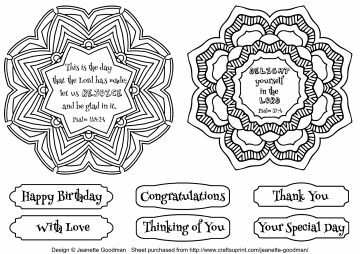 Use your creativity to come up with other ideas! 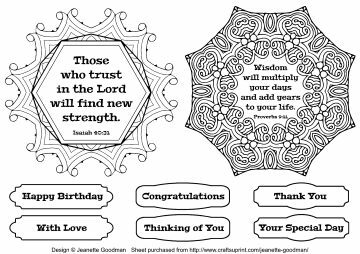 Click on each design to get more information.